This well crafted tour takes you back through a historical journey into one of the world’s greatest African leaders. 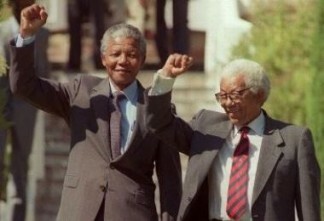 Nelson Mandela was a legend in his own time both in his home country of South Africa and the world at large. The safari begins in Pretoria visitng South Africa’s Historical Landmarks, then to Johannesburg for the Apartheid museum and down to Phinda to get a taste of nature. See Robben Island where Mandela was held captive. Learn about South African History & Culture while enjoying Nature and Wildlife viewing. 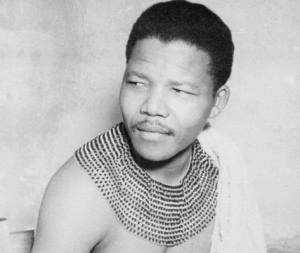 Mandela’s Journey is a chance to understand his struggle to help mankind. Upon arrival at OR Tambo International Airport, you will be met by our representative who will transfer you to your lovely accommodation. After checking in and freshening you will depart on a half day Pretoria City Tour. (Including entrance fees but excluding lunch). This insightful half-day tour will take you back in time as you explore some of South Africa’s historical landmarks. Your 4 hour journey will take you to the Voortrekker Monument, which commemorates the Great Trek, President Paul Kruger’s House (who was president when the South African War broke out in 1899), Church Square and Melrose House where the peace treaty was signed in 1902 – before ending at the Union Buildings, which houses the president’s office. You will be collected for your private full day Soweto, Johannesburg City and Apartheid Museum tour (Including entrance fees but excluding lunch). After breakfast you will be transferred to OR Tambo International Airport for your filght to King Shaka International Airport. You will be met at your hotel for your private full day Midlands Meander Tour (Including lunch). Winding our way out of Durban we pass through the Western suburbs of Kloof and Hillcrest and make our way towards Pietermaritzburg. We bypass Pietermaritzburg and head for the small town of Howick where a stop will be made at the Howick Falls. Visit the arts, crafts and curio center in The Old Farmers Hall before continuing through the beautiful farming area of the Natal Midlands, famous for its dairy farms and horse studs. Stops will be made a various weavers, potters, carvers etc. before stopping for lunch at a local Country Inn and brewery. You will be collected from The Oyster Box Hotel and transferred to the Phinda Private Game Reserve. Depart on a fully Cultural Tour. Guests are invited on a sensory journey through the social and political history of multi-cultural Cape Town, with its diverse influences and fascinating history. 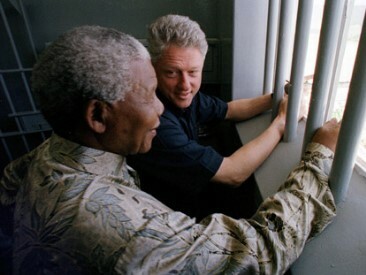 The tour begins with a ferry ride to Robben Island, best known as a jail for political prisoners, including former South African president and Nobel Peace Prize winner Nelson Mandela. Guests will tour the island accompanied by a former political inmate and will hear first-hand tales of its story of hope and hardship. Leaving the island, there is a brief stop to witness the historical gesture of Cape Town’s noonday gun being fired before guests explore the legacy of apartheid at District Six, from where a vibrant and colorful community was forcibly removed and relocated onto the barren Cape Flats in the 1970s, when many historical buildings were leveled to the ground. Delving even further into Cape Town’s history, the tour proceeds to the Slave Lodge, built to house the slaves of the Dutch East India Company in 1679. One of the city’s oldest buildings, it has since seen varied use as a courthouse, government offices and, finally, a museum. Guests move on to the Bo-Kaap, the oldest Malay settlement in South Africa, where brightly coloured houses vie for space with mosques and shops. Lunch is in the Bo-kaap area and the afternoon offers an opportunity to walk off the delicious meal on a walking tour of Langa, the first township established in Cape Town during the apartheid era. Vibrant and lively, Langa entrances the senses with it bustling streets and taxi ranks, busy community projects and thriving arts and crafts shops. *If travel to Robben Island is not possible due to the weather, the tour will start at the Slave Lodge instead. Witness the historical gesture of Cape Town’s noonday gun being fired before exploring the legacy of apartheid at District Six, from where a vibrant and colorful community was forcibly removed and relocated onto the barren Cape Flats in the 1970s, when many historical buildings were levelled to the ground. Delving even further into Cape Town’s history, the tour proceeds to the Slave Lodge, built to house the slaves of the Dutch East India Company in 1679. One of the city’s oldest buildings, it has since seen varied use as a courthouse, government offices and, finally, a museum. Move on to the Bo-Kaap, the oldest Malay settlement in South Africa, where brightly colored houses vie for space with mosques and shops. After breakfast you are driven to the Cape Town International Airport for your flight onward or homebound.